The best way to promote authoritative reference in your library is to make it easy for your patrons to find and use Reference Universe. 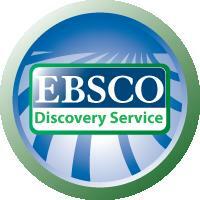 An additional way to achieve this is now available to all customers ofEBSCO Discovery Service (EDS) and Reference Universe. An increasing number of Reference Universe libraries are integrating the exhaustive corpus of Reference Universe content with EDS via theirOptional Integrated Federation. This integration is the best of both worlds–the rich resources of Reference Universe visible simultaneous with the broader search parameters of EDS. Heidi Johnson at the College of St. Scholastica told us “Since we have integrated Reference Universe into EDS, we have seen an increase in the use of the reference collection. People are realizing articles are available in places they might not think to look.” You can read more about her experience here. Linking Reference Universe to the EDS index offers broader discovery, better results and a fuller picture of your resources. Come see us at Booth #1818 at ALA this week to learn more about Reference Universe and how to ensure your patrons can find your valuable, authoritative reference works.